There is a national push towards increasing diversity across college campuses at all levels – faculty, staff, and students. As educators, we also know that there is increasing attention on pedagogical practices such as “inclusively and building a “culturally responsive classroom.” In fact, one of KIrkwood Community College’s core competencies for faculty is diverse learners: faculty will demonstrate an understanding of ways students differ in approaches to learning both individually and culturally, by creating instructional opportunities that are equitable and adaptable to diverse learners. Although well intentioned, what do efforts towards understanding diversity really mean if concepts such as “otherness” and marginalization are only objectified and not experienced? How much of an impact can I really make on my students if I have no empathy regarding what students of color, English Language learners, or other students who are not part of the majority profile experience on a daily basis in the classroom? The dimensions of diversity are complex. 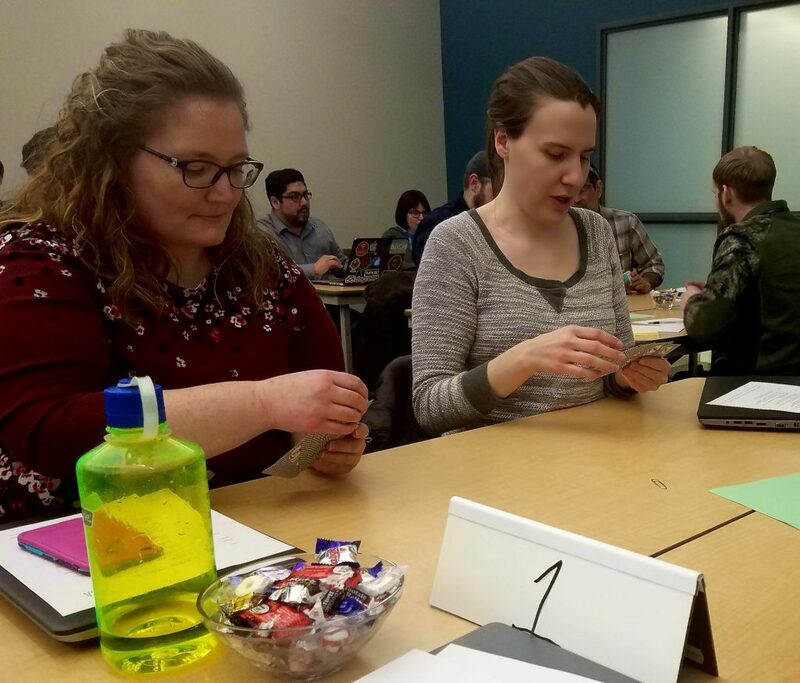 In order to experience just a glimmer of what it’s like not to be able to communicate in the dominant language, KCELT Fellow Sara Kepros and I co-facilitated a simulation activity with faculty in MTP 1 – a card playing tournament called Barnga, where different tables had different rules ( e.g. trumps, high cards and low cards). The clincher is that the rules were different at each table, unbeknownst to the players. Players could not talk or write words to each other. Gesturing (no sign language) and drawings were allowed. 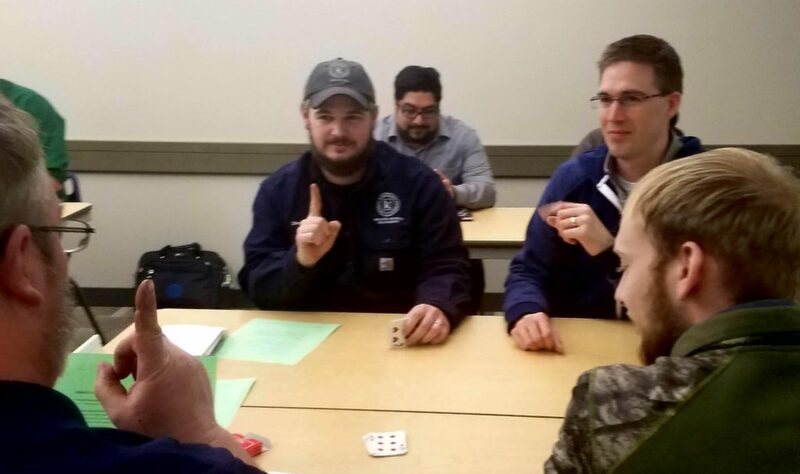 The faculty had to navigate the tournament without access to the dominant language. Of course, a bit of confusion ensues as does human resourcefulness, troubleshooting techniques, and different coping mechanisms such as dominance and assimilation. Debriefing is key after putting people in situations where they felt disempowered. 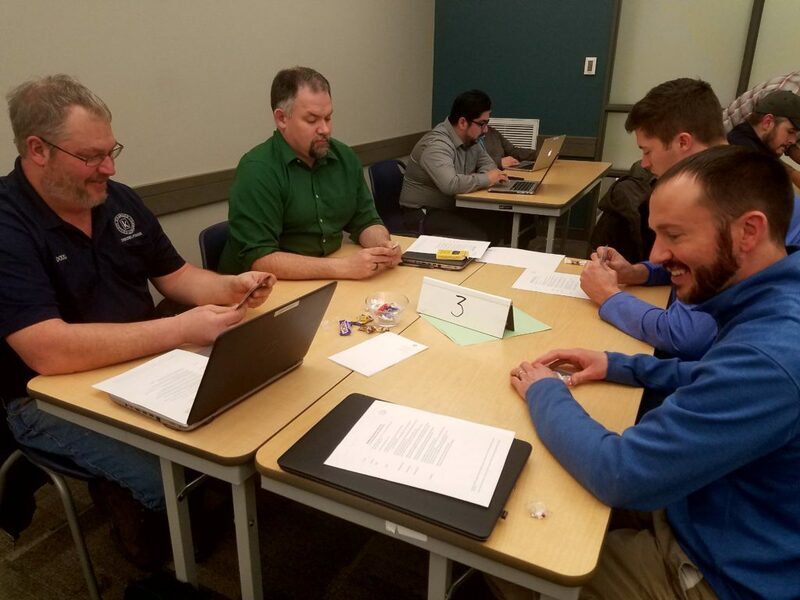 Although perhaps not categorized as an enjoyable experience, several faculty advised me that they learned a lot from the game and it helped them to relate to various student situations of being on the fringe, so to speak, or not having cultural capitol. What are you doing to increase inclusivity in your classrooms? What challenges are you facing? What do you need to assist you in your efforts? Comment below.